Supporting those that give up their time and energy to support others in the local community is something we feel strongly about. Wherever we can, we use our business to make their work easier or help them to fundraise. Here are some of the charities we support, or have supported in the past, that are close to our hearts. If you know of a charity or volunteer group that could use our help, please get in touch. ​After meeting Matthew King, CEO of Trust Links in the summer of 2015, we saw a way our business could help the community by offering to sharpen their tools for free. The 'Growing Together' projects do great work 'providing support to improve mental health and wellbeing, along with promoting, inspiring and cultivating wellness and sustainable living.' (http://www.trustlinks.org/growing-together-shoeburyness). The produce grown is sold at their shop Made in Essex on site. Give it a try, you can't beat homegrown fruit and veg! In June 2018, we were asked to sharpen garden tools for Little Havens Children's Hospice at their Daws Heath Road site. The tools are used by a team of volunteer gardeners who give up their time to maintain the grounds of the hospice. The gardens are spectacular, magical even, and a perfect place for children and teenagers to take pleasure in the outdoors during their treatment. Our visit there, and subsequent tour of the gardens, was awe inspiring. We have great respect and admiration for the dedication of the team who tend the gardens and we will continue to lend our support to them for years to come. The Essex Horse and Pony Protection Society in Basildon do fantastic work taking care of unwanted or sick animals. All of this costs money and they put a call out for any help, fund raising or donations in order to be able to continue their good works. As a small company we didn't have any money we could donate, but what we could do was to offer our time. So we set up an event at the EHPPS premises to sharpen clipper blades with 100% of the proceed going to the sanctuary. There was a brilliant turnout for the event and we ended up sharpening well into the evening by moonlight! This was mostly due to being supplied with copious amounts of builders tea (ooo lovely!) and cakes. We are proud to say the event raised a total of £350.00. Thank you to everyone who turned out and to the girls at the sanctuary for advertising it and providing our refreshments. 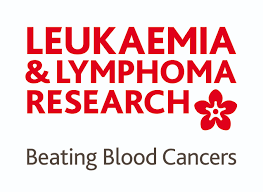 £346.84 was raised by Sharpening Solutions for the Leukaemia and Lymphoma Research on carnival day. The atmosphere was absolutely electric and the crowd were buzzing. What an amazing night it was! Our little collection and delivery van, Roxy, did extremely well and carried the 'float' like a trooper. Her theme was 'Supporting the Growth of Leukaemia and Lymphoma Research' by carrying a garden of flowers on her rooftop made from the charity's logo. To see some of the photo's from the day click here and to see her lit up and in action click here for the video (13 seconds). SAPWOOD DIY of Rochford who donated the wood and fixings. This is a charity very close to their own hearts. Wendy Stock for her patience and time and donation of the paint for the project. To the team who donated their time and energetic efforts in raising as much money as possible: Lynn Wall, Bob Tolhurst, Georgie Knapp, Dave Gomez and Joe Gomez. And finally, to the general public who kindly donated their hard earned cash for such a good cause, every one of your pennies counted towards the £346.84 total. A brilliant effort by all and a night to remember!